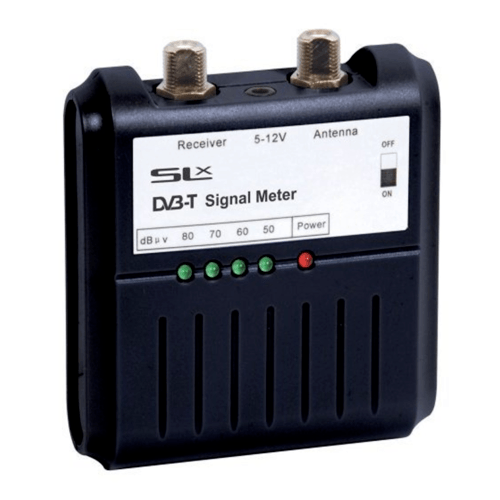 The Philex 27867R is the ideal tool for Improving bad or weak DVB-T signal. Connecting directly to your aerial, this device shows a reading on a scale of 1-4 of the green LED lights of your terrestrial freeview recption, allowing you to adjust your aerial to find the best alignment as easily as possible. Please note that this product is designed for the improvement of the reception of terrestrial broadcasting. this product is not intended for satellite signal testing. You may also require 9V battery to power this device, sold seperately.